We are SEO optimized Massage and Spa niche website. We optimized our website with popular keywords related with massage and spa in Yangon and Myanmar. So that we attract audience who are looking for massage and spa information from google and social media platforms. Our audience is growing every month. 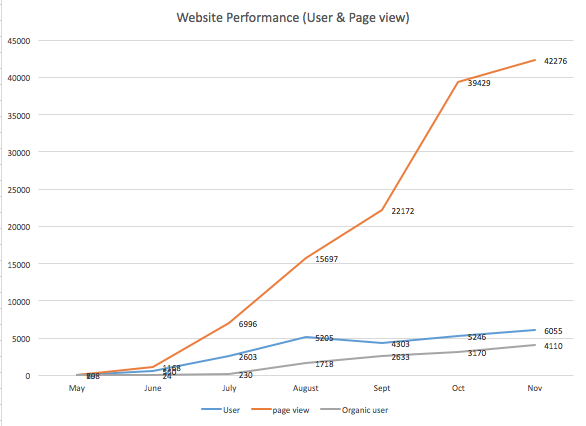 In August we have 5205 unique users and 15697 page views. All these traffic are organic traffic. Your business will be listed as Featured spa/massage parlor list. There will be only three spaces for Featured listed. We designed our blog to make Featured session at the top of the side bar. And featured list will be also displayed at the top of the Directory search result. Banner advertisement is available at our blog, but only two banners are available. Cost: 50 USD per month for one Medium Rectangle Banner (only 250 USD if you purchase for 6 months period). We also provide one banner space for in article space. Cost: 60 USD per month for this space (only 300 USD if you purchase for 6 months period). We can craft and develop article and review of your business and this article will be listed in feature post for 3 months. After 3 months, this article will be replaced with new article, but it will be in our blog forever. Cost: 150 USD per article/review.